Never before has a single reference provided such quick access to critical aspects of financial reporting. 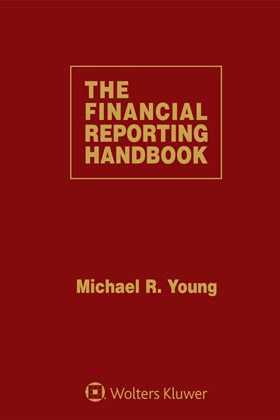 In addition to covering the Sarbanes-Oxley Act, SEC rules and regulations, standards of the PCAOB and the AICPA and requirements of the New York Stock Exchange, Nasdaq, FINRA, and NYSE MKT, the Financial Reporting Handbook tackles important underlying themes such as the centrality of the audit committee, the individual responsibility of executives, and the integrity of the outside auditor. Best of all, the Financial Reporting Handbook is updated periodically with the relevant laws and regulations that are developed and implemented.